Props and accessories can be very useful in the TEFL classroom. 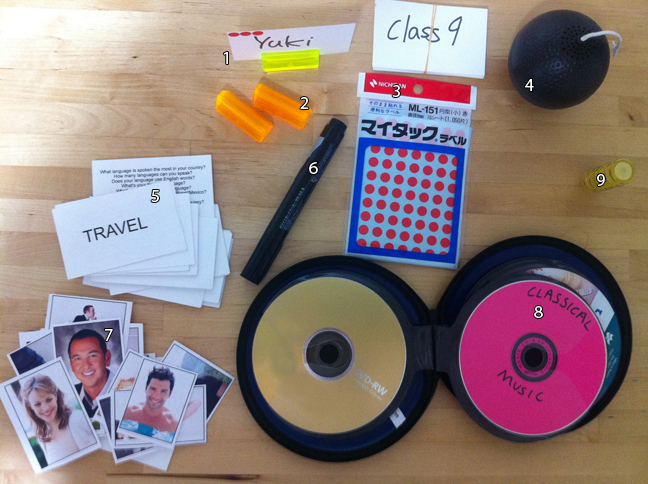 Today, I’d like to share with you my “TEFL box of tricks” – the essential items I take to every class. I have found name cards to be absolutely essential when teaching classes bigger than five or six students. You can either create the name cards yourself, which helps you to familiarize yourself with your students’ names at the beginning of term, or get students to create their own, or, even better, create each others. The latter option can be made into a nice first-lesson information gap activity. I also use name cards as one of my classroom management techniques. After the name cards have been created, in every subsequent class, I place the name cards randomly on the students’ tables before the lesson starts. The students are then required to sit at the table with their name card. This prevents friends from always sitting together, and keeps the group dynamic fresh from week to week. I’ve tried many different kinds of name card holders. I’ve found these to work the best. They’re cheap, and come in a variety of fun colors! Name card holders are necessary if you want to see each student’s name from the front of the class, and pick out individual students to answer questions. I have found that the students in my teaching contexts (Japanese universities) are very reluctant to speak out in front of their classmates, answer questions, or volunteer for activities when called upon by the teacher to do so. Stickers work very well as incentives to students who volunteer to do any of the above things (answer questions, volunteer for activities, etc) without being asked individually by the teacher. In my classes, every time a student volunteers for an activity, or answers a question, or generally participates actively in the class, they receive a sticker. The stickers are attached to the students’ name cards. At the end of the semester, the number of stickers each student has helps me to decide what their ‘participation’ grade should be, and whether, if they are a borderline “B/C” student, for example, they should go up to a “B” or down to a “C”. The students know that the stickers will have an effect on their final grade in this respect, so they really do work as incentives for classroom participation. 6. This continues until the bomb explodes! Students love this activity, and it’s a great way to get them thinking quickly, and to review key words or word groups relating to the topic of the lesson. I also use it to practice ordinals, months, days of the week, etc. I made a large set of conversation cards, each of which has a topic printed on the front (e.g. “School”, “Pets”, “Travel”, “Baseball”, etc) and ten questions on the back relating to the topic. The students use the cards to practice quick-fire question and answer in pairs. It’s a useful filler for the beginning or end of each lesson. You can guarantee that when you really need one, all the whiteboard markers will have disappeared or run dry! 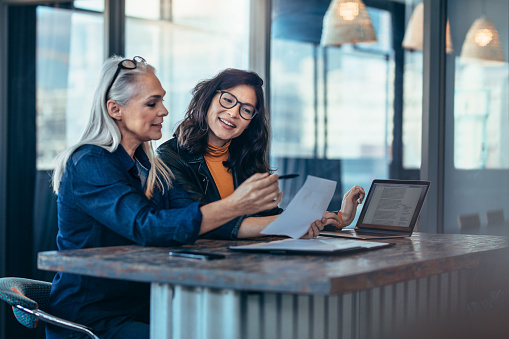 Stock photos are useful for many different topics and activities, but especially describing appearance or personality characteristics. Having high-quality glossy color photos beats dingy black and white copies any day of the week! Google Images is a good place to find stock photos for free. There’s also iStockPhoto, if you don’t mind digital watermarks. Music is a great teaching tool, but it can also be used indirectly as background music when students are focused on other tasks, particularly writing activities. Having a little music in the background helps to break the deafening silence you might experience in classes comprised of extremely shy students. It can also be used to help time activities, so instead of saying to students “You have five minutes”, you can say “You have one song!”. I’ve found classical music is the most unobtrusive kind, but sometimes also use other kinds of instrumental music. Classical music has the added benefit of allowing you to tell students that listening could be making them smarter and more productive! Magnets are great to have for pinning worksheets, photos, etc, to the whiteboard. They can also be used as counters for games. I’ve also found that a lot patience and a good sense of humor are indispensable attributes for EFL teachers! 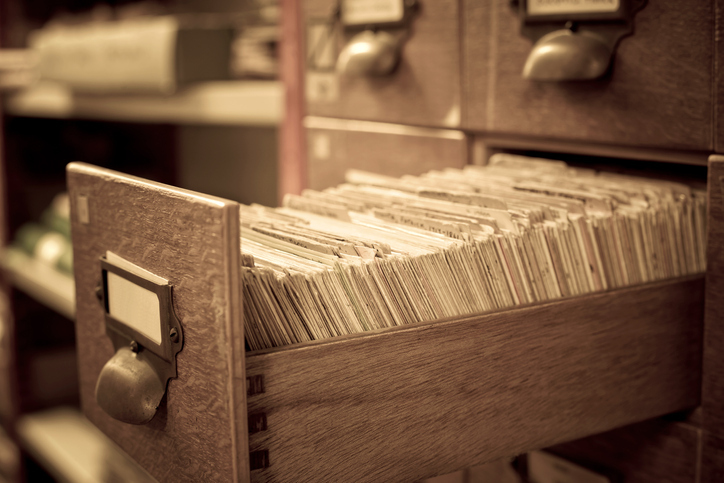 What’s in your TEFL box of tricks? Let me know in the comment section below!